#SonOfABeach The Son of a Beach Rugby Tournament is hosted by Phoenixville White Horse Women and Delmarva Men's Rugby and is open to 12 club men's teams (15s) and 8 club women's teams (10s). The entry fee is $350 due by April 30th. #Bermuda7s ... 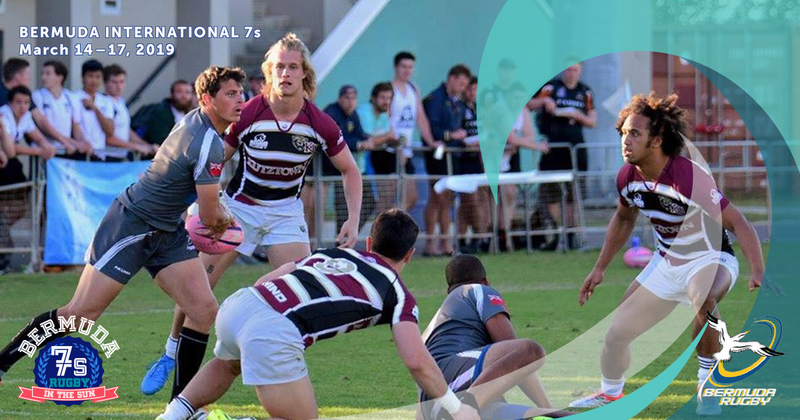 The 2018 Bermuda International 7s host the very best in boys high school and college men and women's rugby at the National Sports Centre, Bermuda’s premier sporting event venue. Matches will take place Friday Mar 16 4:00p to 9:30p and Saturday Mar 17 11:00a to 5:30p. The tradition of the Atlantic Rugby Cup continues in Bermuda. The Atlantic Rugby Cup 2017 features 2 matches, the URugby Collegiate All-Star Cup and the USA Islanders vs Saracens. The Chris Munn Rugby 7s Tournament will return to the Dog River Pitch at Norwich University's Sabine Field on Sunday April 30, 2017. All proceeds from the tournament, auction, and dinner will go to support the Chris Munn '81 Rugby Scholarship and Norwich Scrum Alums. #Bermuda7s ... The 2017 Ariel Re Bermuda Sevens hosted the very best in high school and college rugby at the National Sports Center, Bermuda’s premier sporting event venue. The March 17-18, 2017 tournament featured four mini teams (ages 9-12), two high school girls teams, five high school boys teams and 12 collegiate men's sides. #ACRC7s announces Next Level Rugby to provide a LIVE FEED for the 3-day third annual event. The #ACRC7s returns to the Virginia Beach Sportsplex April 30 and May 1, 2016. The annual ACRC Sevens event features top collegiate rugby teams from around the country including 2016 champion Kutztown University, the US Naval Academy, University of Delaware, Old Dominion, James Madison, Stony Brook University and St. Joe’s University.